The much-maligned Super Rugby season moves into it’s fourth week, bumbling along with small crowds, reducing numbers of television viewers, and a host of detractors. It is a competition that is in serious trouble, thanks to the constant meddling of power-obsessed administrators who have forgotten that it is all about the rugby and not some “product” that must be sold for purely commercial gain. As we look at Super Rugby with jaundiced eyes, it is perhaps time to consider another rugby “product” that has been mangled, diluted, and battered by the constant interference of administrators, politicians, and big business. South Africa used to have the world’s premier domestic rugby competition, the Currie Cup. Played across two divisions, with a promotion/relegation play-off between the bottom side in the “A” Division and the top side in the “B” Division providing the smaller unions the motivation and opportunity to earn the right to play with the big boys. Nobody’s position in the “A” Division was secured permanently, you had to earn the right to stay in that exalted company. Many of the bigger unions had to live with relegation and the need to rebuild and fight their way back into the “A” Division. Transvaal (Lions), Natal (Sharks), Western Province, and others all served time down in the “B” Division and won the right to be promoted back into the top league. Some minnows, South West Africa (now Namibia), Griquas, Boland, Border amongst them, all earned an opportunity to play against the big boys at one time or another. This was a competition based purely on your rugby strength, and nothing else. You earned the right to play the game! The Currie Cup was the envy of every rugby playing country in the world. The competition was fierce, true strength versus strength encounters that provided South Africa with salted players of enormous physicality, equipped with precise skills within the style of rugby for which the country grew famous. The Currie Cup was the breeding ground for Springboks. A team that was sure to cause alarm amongst any opponents, a team that earned the respect of the entire rugby playing world. The Currie Cup used to be the best domestic rugby competition in the world. The Currie Cup used to be the foundation on which South African rugby strength was built. It is those very words that cause so many South African rugby supporters so much pain. The premier rugby competition that was slowly, surely diluted as the smaller unions eyed the cash generated by the “A” Division and lusted after the paydays that came with hosting a Northern Transvaal or Western Province team in a rugby outpost like Nelspruit or Welkom. They wanted a piece of that action! They wanted to be part of the “A” Division! But, they did not want to earn that right on the playing field, they wanted an automatic right to inclusion. And they hold the reins of power in the South African Rugby Union! The balance of power in the boardroom that governs South African Rugby is completely slanted towards those smaller unions. They can, and do, out vote the big guys whenever they wish… And they frequently vote in terms of their parochial interests rather than in the interest of South African rugby as a whole. And they really wish to be part pf the Currie Cup “A” division! The format of the Currie Cup has been changed over and over again as the board members tried to find a way to accommodate all their wishes, yet to maintain the competition as, somehow, relevant in the rugby world. Just the last four years have seen the competition changed four times! Every year a different format! Nothing games between nothing teams. Rugby massacres when a big union played one of the minnows. Poor quality rugby. The fans deserted the game in their droves. Even the smaller unions saw their already tiny crowds reduce to laughable proportions. Empty stadiums, fewer and fewer television viewers… The Currie Cup was dying. In 2016 the Currie Cup became the weirdest structured competition in the world, including even the Super Rugby competition. All the rugby unions in South Africa played in the Currie Cup, but the unions that hosted a Super Rugby franchise automatically qualified to play in the second round of the competition, no matter what their track record in the first round. The non-Super Rugby unions had to qualify for the second round of the Currie Cup. Fifteen teams would compete in the first round of the competition, yet five of them would automatically progress to the second round, leaving ten teams to fight over four more spots in that second round of competition. The automatic qualification process saw the woefully poor EP Kings, home union to the equally woeful Southern Kings franchise, automatically progress, yet they only won two games in the first round, earning just 12 log points and a negative points difference of -119. Needless to say that the Kings ended the second round of the Currie Cup winless! After eight games they had managed just a single log point, and a negative points difference of -235. After just eight games…. That is an average points spread of 30. The second round of the Currie Cup saw nine teams playing in a single round of competition…….. Hence the eventual champions, the Cheetahs, did not have a home game against the Lions, the Sharks, or Western Province. Not really a money spinner when they got to host the Pumas and the Kings…. The entire format was fatally flawed, so much so that the competition kicked off without a commercial sponsor. Nobody wanted to attach their name to the silliness of the reinvented, and neutered, Currie Cup. In a brief moment of clarity, the South African rugby authorities seemed to realise that they had destroyed something beautiful. Political expediency, greed, ambition, and personal agendas had finally succeeded in killing the Currie Cup as the world’s premier domestic rugby competition. And, woe of woes, the Springbok team was the worst in living memory too. They had to do something! The competition was running at a loss, the fans had deserted the game, the sponsors and advertisers were running for cover. The quality of rugby had deteriorated to the point where South African rugby was becoming the laughing stock of the world of rugby. The Springboks were poor and getting worse. On the 6th March 2017 SA Rugby confirmed that the Currie Cup will revert to a strength-versus-strength format this year following a decision of a special general council of SA Rugby in Cape Town. The old “A” Division is now called the Premier Division, and will feature just seven teams. I am not sure why we have seven teams in the Premier Division? I am guessing it is a sop to the lesser unions, allowing two smaller unions to compete against the Big Five of the Blue Bulls, Cheetahs, Lions, Sharks, and Western Province. A six team Premier Division would have made far more sense from a strength versus strength perspective, as well as ensuring a return of adequate crowd numbers. The “B” Division, promoted to being called the First Division, will feature eight teams, which will include a Namibian XV, called the Welwitschias. The winners of the First Division get to play a promotion/relegation series against the loser in the Premier Division. All this makes some sense. It is a return to a more logical structure and will allow for more competitive games and less one sided strolls in the park. Yet, the authorities still managed to throw a curve ball right into the middle of some good sensible decision making! Currie Cup rugby will see a “return of mid-week games” with every team scheduled to play several these weekday matches! What is all this nonsense about a “return of midweek games”? When last was the Currie Cup played in the midweek? I cannot recall a single midweek game in the last forty years! To be blunt, midweek games simply do not work in South Africa. Fans work long hours, and then have to commute home before commuting to the ground for the game. Schools and universities are in session with homework and assignments required on weekdays. Stadiums are not all easy to get to at the best of times, public transport at night is non-existent, parking is a problem, and safety and security are an issue in most cities, at night. Ellis Park, home of the Lions, is situated in a most unsavory area with dark streets and alleys as the main approaches to the ground. At night, these streets and alleys are best avoided. Even if all the issues surrounding safety and access were resolved, how many people are going to flock to Ellis Park on a Thursday evening to watch the Lions host Griquas? Sorry guys, you have got it all wrong……… Again! The 2017 Premier Division will consist of last year’s top six finishers, together with the Pumas, based on their record in the competition over the last five years. The teams will be the Free State Cheetahs, the Golden Lions, Western Province, the Sharks, the Blue Bulls, Griquas and the Pumas. The First Division will host Boland, the Griffons, the Valke, the Leopards, Eastern Province, Border, SWD and Weltwitschias (Namibia). The tournament kicks off on 12th August 2017, the week after the final of Vodacom Super Rugby. The final takes place on 28th October 2017. The Currie Cup, 2017 style, is a vast improvement over the mess that was 2016, but it is still not an ideal format. The talk about strength versus strength is diluted by having seven teams in the Premier Competition, and the “marketability” of the competition to the fans is hamstrung by the decision to play midweek games. Let’s see what August delivers……. As I thought about the future of the Currie Cup I was amused by the modern tendency to sell “naming rights” to commercial sponsors. How often have you heard television commentators stumble over the names as they talk about the Toyota Free State Cheetahs, or the Xerox Golden Lions, or perhaps DHL Western Province? 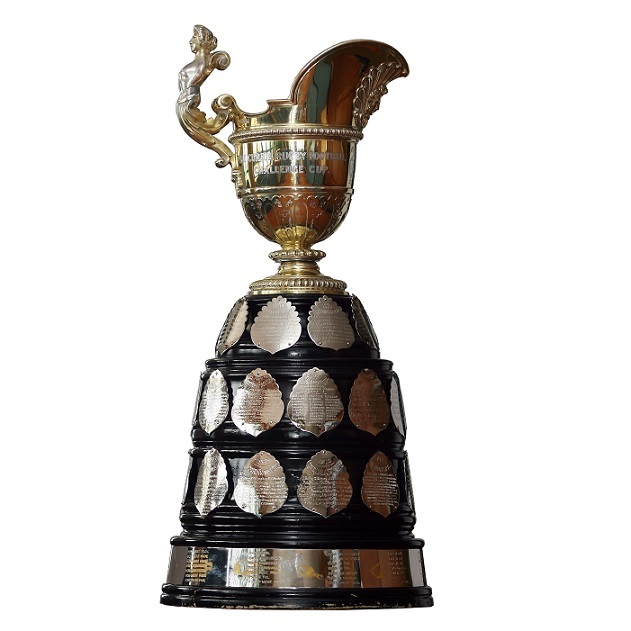 The new Currie Cup format also includes the Cell C Sharks, Vodacom Blue Bulls, Tafel Lager Griquas and Steval Pumas. Down in the First Division we have the Down Touch Griffons, and the Hino Valke. I am not sure why the Leopards, Eastern Province, Border, SWD and the Weltwitschias do not have some commercial prefix? Perhaps they cannot find a sponsor who wants their name associated with the team? World Rugby has announced a new global calendar that sees the June International Window move to July from 2020. The November Test window will start a week earlier to allow Southern Hemisphere players an extra week of rest and recuperation before the start of the following year’s Super Rugby series. The new calendar has been agreed, and fixed, for a period of twelve years, from 2020 to 2032. The changes ensure an uninterrupted Super Rugby season without having an enforced three week wait right at the final straight before the playoffs. SANZAAR tells us that their competition will change in 2018. It will feature a reduced number of franchises. Indications are that South Africa are willing to lose two teams, but that Australia are the stumbling block, they do not want to lose any! Speculation is rife about which two or three teams will be cut from the competition, will it be the Kings, the Cheetahs, the Sunwolves, the Rebels, the Force? Who will be going? The Australian Players Union is adamant that they want five teams in Super Rugby. The ARU is equally adamant that they have the depth for five teams, despite three of their teams having absolutely dismal records in the competition. The Australian media is having a field day. They are quoting all kinds of people about the future of Super Rugby. Yesterday retired OZ captain and ex-Brumbie and Rebel, Stirling Mortlock is quoted as say that he thinks all six South African teams should be booted out of the competition as it makes no sense for Australians and New Zealanders to have to go and play in Africa. He suggests that the Aussie fans have lost interest in the competition because they do not want to sit up all night watching games in Africa. He has not suggested that the empty stadiums in Australia are as a result of the poor quality of rugby served up by his home franchises. Perhaps he has not heard that it is South African television rights money that is keeping the entire competition afloat? Perhaps he has not figured that his beloved Australian Rugby Union would be completely bankrupt if not sustained by South African money through the SANZAAR link? Now they have unleashed their sometime captain, Michael Hooper, as a spokesman, insisting that they really really need five teams for the good of Australian rugby. Has not really produced results so far, has it Mikey? Nicolas Sanchez has been suspended for one week after his jump at Anthony Volmink’s head last weekend. He was cited for the incident that the referee found to be somewhat innocuous, and was found guilty of contravening Law 10.4(g) Dangerous charging. And then the Judicial Committee continued the Southern Hemispherean trend of finding all kinds of mitigating factors. “including the player’s excellent record and early guilty plea” and promptly reduced the sentence recommended by World Rugby to just one week. It is a pity they did not watch his performance just six minutes later in the game, when his “excellent record” would have been highlighted by his no arms shoulder charge, another offence the referee chose to ignore. The Lions number eight and captain showed why he is considered pone pof the best defenders in the game when he topped the chart with 17 tackles. The Stormers must be wondering why they never offered home town boy Chris Cloete a contract? He made 5 turnovers on his own, and was instrumental in 5 more as the game progressed. Somehow Israel Folau made 19 carries in the Waratahs game against the Sharks. His team managed a total of 124 carries, so his contribution was nearly 24% of all the balls carried by his team! SP Marais is loving the freedom to run that he has been given by the Stormers. On Saturday he topped the Super Rugby charts with 166 running metres. Curwin Bosch managed a 27-point haul that included a try in the game against the Waratahs. He kicked six penalties and two conversions. Curwin Bosch and Jaguares wing Moyano, both beat 8 defenders in their respective gaes. On debut for the Lions, Marvin Orie claimed 11 lineouts for his new team. Four players managed to do the double for their teams. Cobus Reinach kicked the ball 17 times from the base of the scrum, lineouts or rucks in the game against the Waratahs. No other scrumhalf gets into double figures for kicking this entire season. He is joint top of the kicking stats with Aaron Cruden, but the fly-half’s 17 kicks include defensive line kicks, and penalty and free kicks! Stormers flyhalf Jean-Luc du Plessis has been ruled out for four to six weeks with a groin injury. He has a bone stress injury to the pubic bone, complicating the recovery from his groin strain. The Lions are without Cyle Brink, out with a shoulder injury. Dylan Smith is also struggling with a shoulder and might not be ready by this weekend. The Hurricanes and All Black flyer, Nehe Milner-Skudder will be out for at least six weeks with a foot injury. The Canes will also miss prop Loni Uhila who has a calf muscle injury. Crusaders and All Blacks outside back Israel Dagg needs an operation on his right knee and will be out of all rugby for about six weeks. Another Crusaders’ All Black, Seta Tamanivalu, has a right upper hamstring injury and has been ruled out for a further four weeks. Crusaders will also be without winger Digby Ioane, who has also be ruled out of the match against the Blues in Christchurch on Friday. Ioane has a minor hand injury. Over in the United Kingdom, Marcell Coetzee is set for a lengthy spell on the sidelines after suffering a ‘significant’ knee injury with Ulster, which could throw his Springbok future into jeopardy. The Rebels’ Mitch Inman is out injured as is Lopeti Timani with a knee problem. Lima Sopoaga, Alex Ainley and Waisake Naholo are all missing from the Highlanders team due to injury. Both Sopoaga and Naholo will be out for some weeks with what are described as “medium term” injuries..